As a manufacturer of custom thermoplastic extrusions and injection-molded parts since 1973, at K. Jabat, Inc., we are in a position to serve the needs of many different industries. One of our core markets is the sanitation industry. 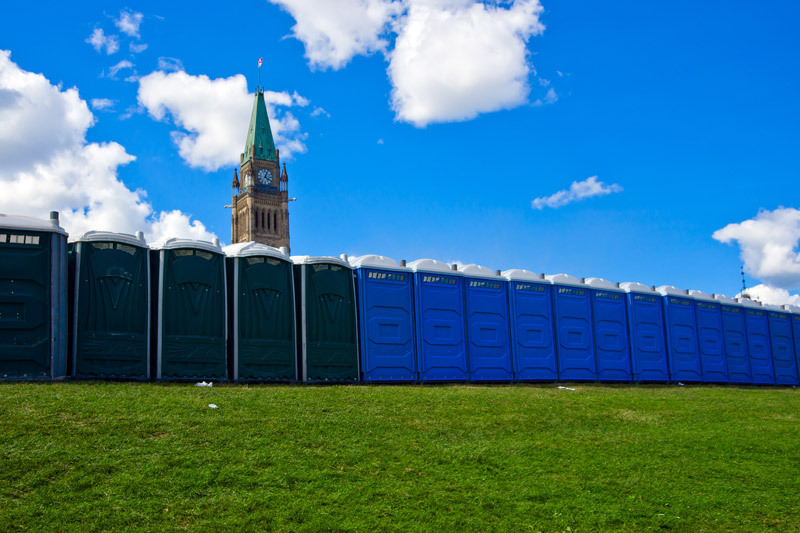 We do a significant amount of work for companies that manufacture the portable toilets and restrooms you see at large outdoor events, on construction sites, and in other temporary or remote locations. 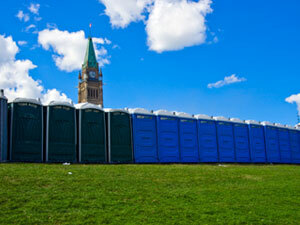 Portable sanitation products are typically found at outdoor sites. We have years of experience with using materials that are specifically geared to withstand exposure to ultra-violet radiation as well as a wide variety of weather conditions. From harsh northern winters with snow, ice, and extreme cold to southern climates with the uncompromising heat and excessive temperatures, we manufacture products that hold their color and shape without degradation. Since it is imperative that these portable units maintain a clean and fresh appearance, manufacturers rely on our products for their high standard of quality. Products we manufacture for this industry are also characterized by their ruggedness. Portable sanitation equipment is frequently transported among many different locations. Sites can range from dirty and dusty construction areas to venues like outdoor fairs, music festivals, and sporting events with thousands of attendees continuously lining up to use the “facilities.” Our products are sturdy and durable enough to tolerate the consistent use, and even abuse, from streams of patrons on an everyday basis. Wear resistant construction and excellent surfaces also contribute to ease of cleaning and maintenance. Manufacturers of portable restrooms depend on us to provide quality extrusions and injection-molded components that promote the appearance and longevity of their products. This helps them boost sales and claim a larger share of the market. Contact us today to learn more about our capabilities.